With over 25 years of experience in interior design Jackie and her team have worked on an enormous number of projects. Each project is different and every client comes with their own personality, lifestyle and priorities. 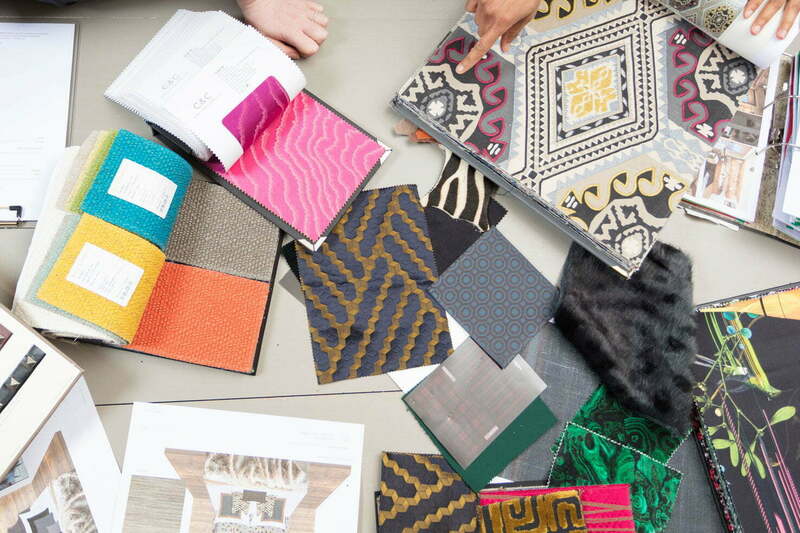 However, whether you are working with a new interior designer, or you have never used an interior designer before, or you are simply starting a new project, there are key pieces of advice that Jackie has accumulated over the years on how to get the best from the professional expertise you have chosen to engage. Here she has distilled these insights into a brief guide. 1. Start by thinking how you want your home to feel and work, this should guide all your decisions. This is also why you should engage your designer as early in the process as possible so that they can work with you to achieve this. There can be multiple parties working on your project including architects, contractors as well as multiple trades and it is easy to assume that everyone has a shared agenda which isn’t always the case. Having a clear idea of the end design prevents expensive mistakes from being made in construction and selections being made in a piecemeal way where things won’t flow beautifully or relate meaningfully. 2. The relationship between designer and client is hugely personal. Make sure you engage someone that you can relate to and who listens – and having done so trust them and trust the process. While a good designer will design specifically for you, they should not simply facilitate what you already think you want. If you trust your designer to push you just beyond your comfort zone the end result will be truly unique to you but also fresh and interesting. If you are hiring a professional to help with your interiors then allow them bring ideas that you may not otherwise have thought of. You can always say no to something you really don’t want, but you will not know what you may be missing if you set out too many parameters to work within. 4. Everyone needs to start a project on the same page. I always recommend a client spend some time going through interiors books and magazines selecting images that appeal. Don’t be overly specific – don’t work out why you like the room or restrict yourself to preconceived colour palettes or styles – a good designer will be able to identify a common thread running through your choices and use this to design a beautiful scheme that reflects your lifestyle and your personality. 5. Designing a home isn’t just about creating pretty rooms that look great in photos. It is about function, comfort, character and personality as well. A successful design will be made up of thousands of details, the result of hundreds of decisions – a good designer will combine these efficiently but with a dash of inspirational alchemy too! 6. Undertake a bit of research to understand your budget! Have an initial idea of the size, scope, and budget you will be comfortable with and be open about this with your designer. There are a huge number of variables in interior design which can come together in multiple ways, resulting in large variations in cost. Being open about budgets will allow your designer to design specifically for you and your project without spending valuable time heading up blind alleys. 7. Remember to enjoy the process! This should be an inspiring and creative experience with a beautiful home at the end of it.